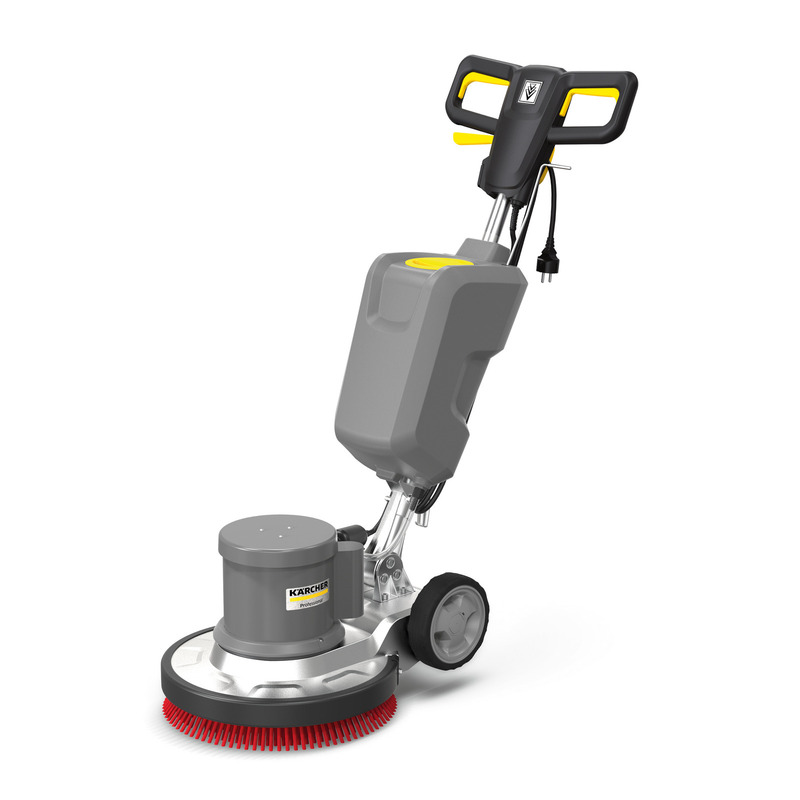 BDS 43/150 C Classic 12912440 https://www.kaercher.com/hk/professional/floor-scrubbers-scrubber-dryers/single-disc-machines/bds-43-150-c-classic-12912440.html The BDS 43/150 C Classic is a very robust single-disc machine for diverse floor cleaning applications. With maintenance-free planet carrier and powerful 1,500 watt motor. Low operation and service costs. Made from hard-wearing metal gear wheels. Reduced wear and tear and maintenance costs compared with belt gear. Higher torque than a conventional belt gear. Excellent balance and quiet operation. For connection to a suction unit, which reduces dust.